COUTURE (Coutu), GUILLAUME (William), musician, teacher, and author; b. 23 Oct. 1851 in Montreal, son of Louis Coutu, a carter, and Marguerite Bouthillé; m. first 1 June 1871 Malvina Hazen in Montreal, and they had two daughters; m. there secondly 17 May 1881 Mercédès Papineau, grand niece of Louis-Joseph Papineau*, and they had three sons and a daughter; d. there 15 Jan. 1915. Guillaume Couture was born in Montreal’s faubourg Québec to parents of modest means. He received his elementary education at the École Sainte-Brigide, which was under the Brothers of the Christian Schools, and he sang at services in their chapel. The brothers apparently gave him his first lessons in solfège, violin, and organ. In 1871 Couture began teaching solfège at the École Normale Jacques-Cartier. At this time he also became choir director at Saint-Jacques church. In the spring of 1873, however, he left for Paris, thanks to the curate Léon-Alfred Sentenne, who had raised funds enabling him to continue his education in Europe. At the Conservatoire de Paris during the 1873–74 and 1874–75 sessions Couture worked on harmony, counterpoint, and fugue under Théodore Dubois. An honourable mention was awarded him in a competition and he became the first Canadian to graduate from this famous conservatory. He also took singing lessons from Romain Bussine and tried his hand at composition. In 1875 the Société Nationale de Musique premièred two of his works in Paris, the motet Memorare and the symphonic poem Rêverie. He had spent the holidays in 1874 travelling in Belgium, Holland, and Italy. On his return to Montreal in September 1875, Couture was invited to join the staff of La Minerve. The newspaper column was his favourite manner of expression at that time. He set high standards for the musical community and mercilessly attacked teachers and performers he considered incompetent. In his view, competence implied demonstrable pedagogical skills, as well as an adequate education including not only mastery of an instrument but also study of solfège, theory, and, ideally, composition. His language was extreme, his tone caustic. There was such a storm of protest that he decided to leave Canada again. His second stay in Paris lasted from the summer of 1876 to the late fall of 1877. Early in 1877 he had been appointed choir master at Sainte-Clotilde, where he worked with the organist César Franck. He eagerly attended salons and concerts. Despite the difficulties he had encountered on his first return to Montreal, however, he moved back there permanently on 6 Dec. 1877, probably for financial reasons. He began his newspaper columns again, but in a more constructive vein. He wrote for the Revue de Montréal in 1878–79, for La Patrie in 1884, and, under the pseudonym of Symphony, for the Montreal Daily Star in 1889–90. However, his preferred means of achieving his objectives was now direct contact with students and performers, as teacher, artistic director, and church musician. Specializing in subjects not widely taught in Montreal, he offered instruction in singing and musical composition (harmony, counterpoint, and fugue). He gave lessons in solfège and in theory as well. His students included Alexis Contant, Lynnwood Farnam, Achille Fortier, Henri Gagnon*, Arthur Laurendeau, Léo-Pol Morin*, Frédéric Pelletier, and Rodolphe Plamondon. Couture also taught at the academy run by the Sisters of the Holy Names of Jesus and Mary (1881–82 and 1899–1901), the Montreal High School for Girls (1885–1914), the Pensionnat Villa-Maria (1899–1912), and the McGill Conservatorium of Music (1904–7). Moreover, from 1892 to 1895 he was director of music in the schools for the Montreal Roman Catholic Board of School Commissioners. In a lecture he delivered in 1894 on the teaching of music, he expressed the hope that the subject would be introduced into all elementary schools and that a methodical approach which covered choral singing, solfège, and basic theory would be used. He opened a studio in Boston in 1896 and for two years he divided his time between that city and Montreal. Couture’s calling as an educator went beyond the field of teaching and permeated his work as an artistic director. The musical societies he led were the largest of their kind in 19th-century Montreal. The Montreal Philharmonic Society (1877–99), of which he became conductor in 1880, took British and American festivals as its model; its performances usually included a wide range of choral music, and its nucleus was a choir of up to 300, which was accompanied by an orchestra sometimes brought in from the United States. The Montreal Symphony Orchestra (1894–96), a cooperative society, presented varied programs while at the same time performing less popular musical genres such as the symphony. In 1891 Couture founded the Montreal Amateur Operatic Club, whose repertoire consisted of operettas, and the Montreal Ladies Vocal Society, which gave beginners an opportunity to appear on stage. Four years later he established the Montreal Church Choral Society, which for the first time in that city performed a series of Sunday concerts of sacred music. These groups disappeared in the late 19th century, when the local English-speaking bourgeoisie was entering a period of decline. From then on Couture devoted his energies to the French-speaking community. Couture’s career in Montreal churches spanned half a century. Having served as choir master at Saint-Jacques (c. 1868–73, 1875–76, and 1878–81) and at Le Gesù (1882–83), he had turned to the Anglicans, conducting the choirs of Christ Church Cathedral from 1885 to 1888 and Trinity Church in 1889; he then returned to the Catholics, working first at Notre-Dame church in 1891. The controversy touched off by his appointment there [see Charles Labelle*] was fuelled by the fact that he was a freemason. His masonic ties did not prevent him from becoming the first incumbent (1893–1914) of the most highly coveted position for French-speaking musicians in Montreal, that of choir master of the new cathedral of Saint-Jacques. 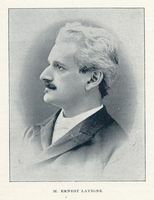 After Bishop Édouard-Charles Fabre* of Montreal banned mixed choirs from the Roman Catholic churches of his diocese in 1878, Couture arranged for male voices a number of works composed for mixed voices. He also harmonized some plainsong. From this point on, all his musical compositions, except for the oratorio Jean le Précurseur written between 1907 and 1911 and a few songs, were intended for religious services. The major work in this functional output was the Messe de requiem, first performed in 1905. Like his colleagues of various denominations, Couture organized concerts for church choirs. Benefit performances for the Union Nationale Française (1894–1905) and the cathedral choir’s annual concerts (1898–1901) enabled him to give free rein to his preference for French music. Nevertheless, he did not neglect the works of Canadian composers. From 1893 he devoted entire programs to them. His last transatlantic crossing, in 1897, took him to the Bayreuth festival and to Paris, where he saw his former teachers once again. At the time of his death in January 1915, the press hailed Guillaume Couture as a musical pioneer in Canada, extolling his knowledge and his perfectionism. Couture was not the only one in Montreal to conduct concerts and perform music in churches, but he surpassed his colleagues in the range of groups he led, and in the quantity of works – frequently unknown – and variety of composers and genres he presented to the public, not to mention the opportunity he offered professionals and local amateurs to display their talents. He worked tirelessly to make Montreal one of the great musical cities of North America. Through his teaching, the demands he made of musical performers, and his repertoire, he helped raise the standards of performance and change the tastes of Montrealers. Some of his students would play a leading role in the city’s artistic life between the two world wars. They would follow in his footsteps, as did his grandson Jean Papineau-Couture. 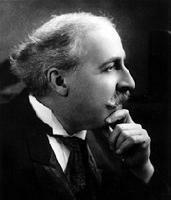 In addition to the music columns, articles, and journal and newspaper reviews mentioned in the biography, Guillaume Couture published articles in the following Montreal periodicals: Arcadia, 1, no.2 (May 1892): 28–29; L’Art musical, 3, no.2 (novembre 1898): 20–21; Le Canada artistique, 1 (1890): 161–63; Gazette, 12 Feb. 1879; Journal de l’Instruction publique, 13 (1894–95), no.1: 45–54; Le Monde illustré, 4 juill. 1891; Montreal Daily Star, 29 July 1893; L’Opinion publique, 5 avril 1883; La Patrie, 26 nov. 1901; and La Presse, 5 nov. 1892 and 30 sept. 1893.
Letters by Couture and photographs of him are preserved in the Arch. de l’Univ. de Montréal, at P 14 (fonds Guillaume-Couture); his correspondence with Dean Charles Albert Edwin Harriss* is in McGill Univ. Arch., Montreal, RG 39 (faculty of music). Musical works by Couture are held in the Arch. de l’Univ. de Montréal, at P 14 and P 226 (fonds du chœur de la basilique-cathédrale de Montréal); the Bibliothèque de Musique, Univ. de Montréal, in its coll. Villeneuve; the Bibliothèque Nationale du Québec (Montréal), in its collection of scores; and in ANQ-M, P-185 (coll. Claude-Champagne). In addition, works by Couture are published in The Canadian musical heritage, ed. Elaine Keillor et al. (15v. in 18 to date, Ottawa, 1983– ), beginning with vol.5. ANQ-M, CE1-33, 17 mai 1881; CE1-51, 24 oct. 1851, 1er juin 1871. Dictionnaire biographique des musiciens canadiens (2e éd., Lachine, Qué., 1935). Encyclopedia of music in Canada (Kallmann et al.). Romain Gour, “Guillaume Couture, compositeur (1851–1915),” Qui? (Montréal), 3 (1951–52): 3–24. C.-O. Lamontagne, “Guillaume Couture,” Le Canada musical (Montréal), 8 (1930–31), no.7: 7–8. Arthur Laurendeau, “Musiciens d’autrefois: Guillaume Couture,” L’Action nationale (Montréal), 36 (1950–51): 19–34. L.-P. Morin, Papiers de musique (Montréal, 1930), 78–82. The musical red book of Montreal . . . , ed. B. K. Sandwell (Montreal, 1907). Jean Papineau-Couture, “Biographie de Guillaume Couture,” Amateur Musician (Outremont, Que. ), 22 (winter 1964): 11–13; 23 (spring 1965): 6–8. Pierre Quenneville, “Guillaume Couture (1851–1915), animateur de la vie musicale montréalaise (d’après le fonds Guillaume-Couture)” (thèse de ma, univ. de Montréal, 1980); “Guillaume Couture (1851–1915): l’éducateur, le directeur artistique et le musicien d’église” (thèse de phd, univ. de Montréal, 1988); “Guillaume Couture, le pédagogue,” Assoc. pour l’Avancement de la Recherche en Musique du Québec, Cahiers (Montréal), 8 (1987): 93–96; “Guillaume Couture, un musicien à l’aube du féminisme québécois,” Trois (Laval, Qué. ), 4, no.3 (printemps–été 1989): 64–71. Pierre Quenneville, “COUTURE, GUILLAUME (1851-1915),” in Dictionary of Canadian Biography, vol. 14, University of Toronto/Université Laval, 2003–, accessed April 26, 2019, http://www.biographi.ca/en/bio/couture_guillaume_1851_1915_14E.html.